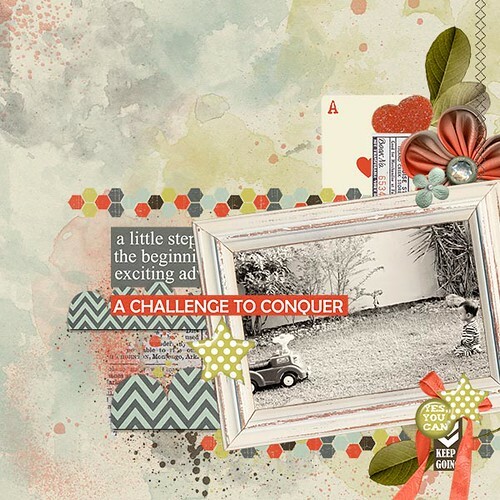 I am loving this new kit from Pixelily Designs called Adventurous Mind. It is such a fun kit to work with. I just love the color tone and the elements in this kit. This is a layout I made using the above kit. My baby is still reluctant to walk. When I took him outside to play he is still having doubts that he can stand and walk.